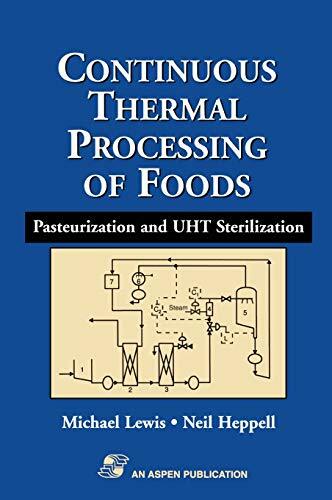 This new book updates and expands Harold Burton's classic book, UHT Processing of Milk and Milk Products, to provide comprehensive, state-of-the-art coverage of thermal processing of liquid and particulate foods. The food products covered now include soups, sauces, fruit juices, and other beverages, in addition to milk and milk products. Pasteurization, sterilization, and aseptic processing are all discussed, with emphasis on the underlying principles and problems of heat treatment of more viscous fluids, where streamline flow conditions are likely to prevail, and of products containing particles. Pasteurization and heat treatments designed to further extend the shelf life of pasteurized products are also discussed, and the pasteurization and sterilization processes are compared to highlight similarities and differences. Throughout, factors influencing the safety and quality of heated foods are emphasized. This book contains over 100 illustrations and 50 tables, as well as extensive cross-referencing and a comprehensive reference section. "Lewis and Heppell have provided a review of pasteurisation and UHT processes that is well organised and built on a foundation of engineering and thermobacteriological principles. The literature is thoroughly covered and clearly summarised. Particular attention is given to the thermal sensitivities and resistances of various micro-organisms found in raw and processed foods and within the processing environment. The engineering principles in the book are carefully and thoroughly explained and will be valuable to graduate students conducting research in the field as well as processors interested in optimising the safety and quality of their product."